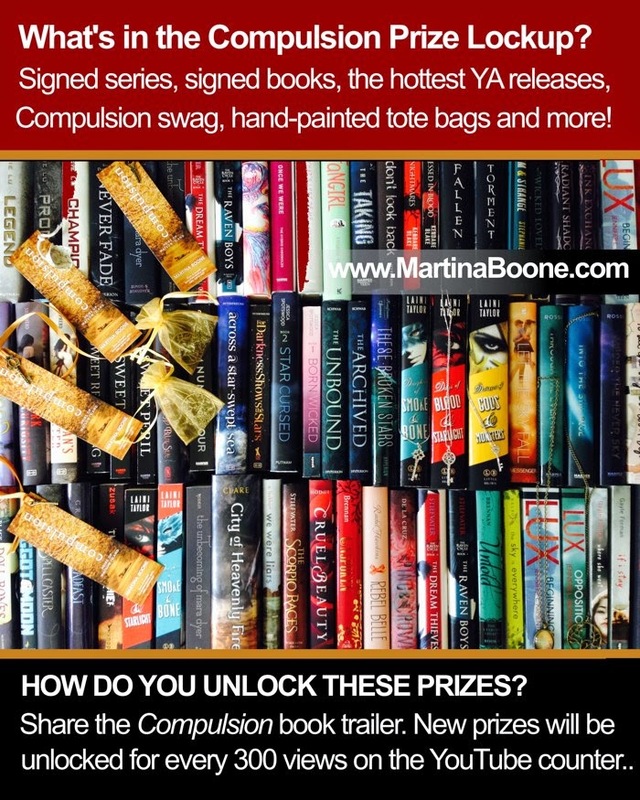 Two Chicks On Books: COMPULSION Trailer Reveal by Martina Boone and a HUGE Giveaway! 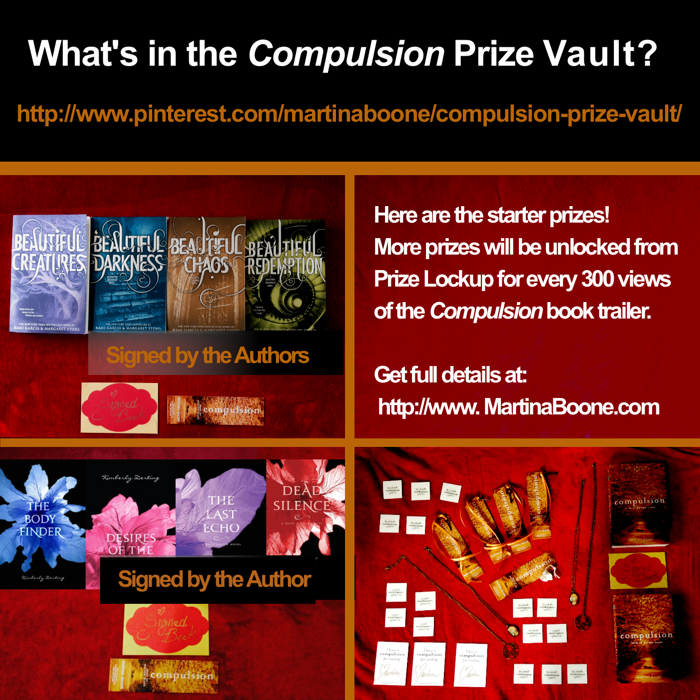 COMPULSION Trailer Reveal by Martina Boone and a HUGE Giveaway! Today is awesome! 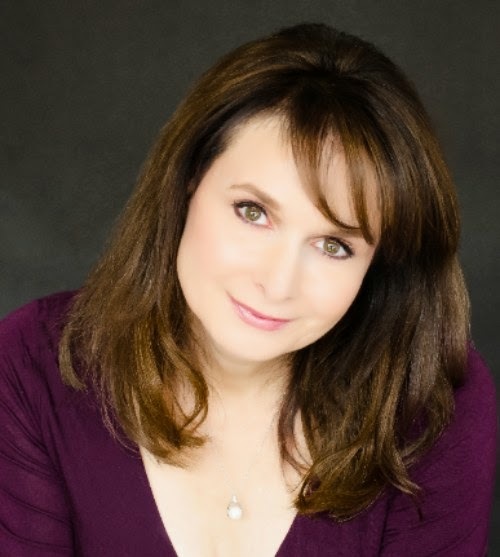 I get to help Martina Boone spread the word about her upcoming book COMPULSION! I have the beautiful book trailer to share! I've already read the book and loved it! Oh and make sure to visit all the other sites in this post for a special code to unlock more entries for the awesome prize! 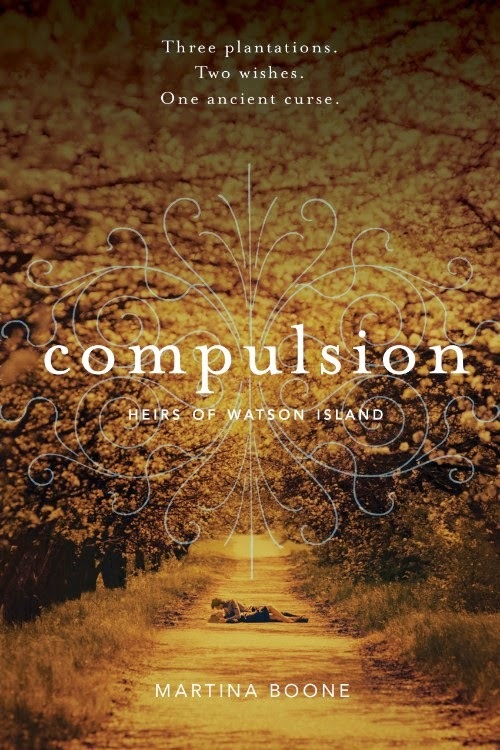 Haven't heard of COMPULSION? Check it out! Ok so you've seen the awesome trailer here's my secret code!!! CLICK HERE to enter my code in the rafflecopter! And visit these sites for more codes! Go to Martina Boone's site for all of the contest rules and the entry forms! Website | AdventuresInYAPublishing.com | Blog | Tumblr | Twitter |Pinterest | Instagram.